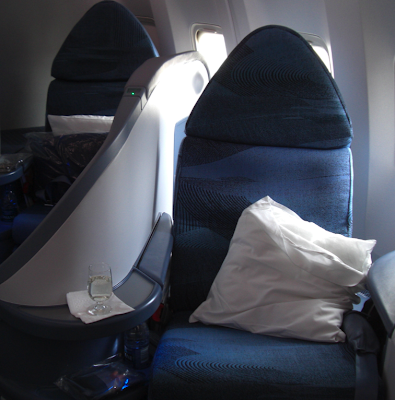 Air Canada Executive First Class Rocks! Special thanks to Melonie, Natalie and Dean for being the best hosts on flight 897 yesterday! Code your way to get into MAX 2008 for free! Adobe is making a special offer for those of you who are holding off on contributing to the Open Source Flex SDK. * For every 3 bugs where we accept and commit your submitted patch, we will purchase an Adobe-related book from your Amazon wish list (once you've had your 3rd patch accepted we'll reach out to you to find your wish list). * For the first two contributors to have 10 patches committed, we'll pay for your MAX 2008 registration (any region). Adobe announced this morning (I am in Zurich) that it is has worked with Google and Yahoo! to improve search engine capability to reach inside of the Flash (SWF) file format. You can read the FAQs here. This is being done via a headless Flash reader that can extract strings from Flash and use them to build an initial page ranking and string array for each page. The string arrays themselves are then fed into Google and Yahoo! ranking algorithms where they will give the page an initial ranking for each tree. Exactly what is indexed and what rank the search engines will give it is yet to be seen. Don't automatically assume everything in SWF is now at par with HTML text. For example, a large vector-based drawing of the word "Washington" will not likely make you rank high as it is still not text. Cognitive capabilities are not easy to bestow upon machines (which is why Captcha works so well). Without doing anything, the engines will use some of your text values in SWFs and possibly adjust your rankings for certain terms. This is a good thing for people who have not yet learned how to get Google and Yahoo! to use static content for their indexes. In cases where your unique text content has previously been inaccessible, there should be improvements. Initial page ranking is not the silver bullet it once used to be. As soon as searches are performed and your content comes up, both Google and Yahoo! will still dynamically adjust your score based on a multitude of conditions. I have outlined several of these tips in this blog post already. Duane's World Episode 3 also has some tips and tricks on how to use Google's dynamic page ranking algorithm to move up the ladder. Flash developers who took care have had their content indexed all along. Using XML or XHTML data providers with strings in them and a link from the index.html shell was a great way to get stuff indexed and still generate good page rankings. From your main SWF, you simply just used the XHTML file as a data provider and parsed it with E4X (ActionScript 3's XML parser). That way the same raw data was both indexed by search engines and also used by the application. Those developers who took this care might now be trumped by those who will get lucky and have high rankings. Flash developers, like HTML developers, still need to understand that the pages that point at your content have a lot to do with your dynamic rank. Content is still king too. Make sure you have your keyword well researched before betting the farm on it. For example - how many people performed unique searches on that term? Is it an unambiguous term? One of the best ways to achieve a higher ranking is to examine other Flash sites and see what they have done. Sombrio is a good example. If you search for this in Google, the Sombrio Clothing Company comes up #1 out of about 2 million. Note that if you read this, then click on Sombrio Cartel, you are actually helping maintain it at the #1 place. Google will see the above string as a search in true REST style, then track what you click on, bounce rates etc. More on this later. I am going to try some experiments to see what is possible.